Kevin Moran is a Life and Pensions Administrator with Cornmarket Group Financial Services. Kevin graduated from NUIG with a degree in Public and Social Policy followed by a masters in public administration. His work involves administering savings and pension policies to employees in the public sector. 5. Moving from Zurich to Cornmarket – moving from a background in life companies in a new direction working in a brokerage. 3. Team leader in Friends First and Cornmarket – I would like to work in a management role at some stage in the future and the managers and I feel the team leaders in Friends First and Cornmarket provide a good template of how I would like to see myself operate in that role. I saw it advertised on a Jobs website. 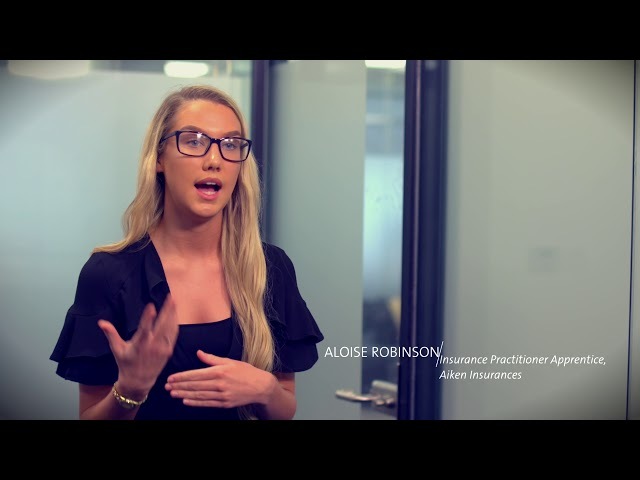 Working in a broker role and having more direct contact with clients was always something I was curious about and wanted to try so it seemed like the perfect fit for me. I don’t think there is such thing as a typical day but that is what’s most appealing about the job, every day is different with a new challenge and focus. I would be responsible for the day to day running of clients Additional Voluntary Contribution policies, this entails anything from processing increases, decreases, cancellations, fund switches right through to the retirement process and making sure that each client is aware of the options available to them on retirement. I am also responsible for the savings policies and life cover policies, I must be available to take queries from clients on the operation of policies whilst helping them make vital decisions about their investments i.e. examine their risk profiles and thus ascertaining if the policies meet their current and future needs. The majority of client queries on retirement, savings and life policies come over the telephone but it is occasionally necessary to meet the client face to face to take such queries. As in all financial services entities statistics, record keeping and Key Performance Indicators (KPI’s) are all important. I am responsible for the recordings of such numbers in my team. Given the economic difficulties of the past few years I would say that the main challenge in working in financial services is gaining the customers trust. Clients are now more careful and in many cases very cautious about dealing with financial services providers. 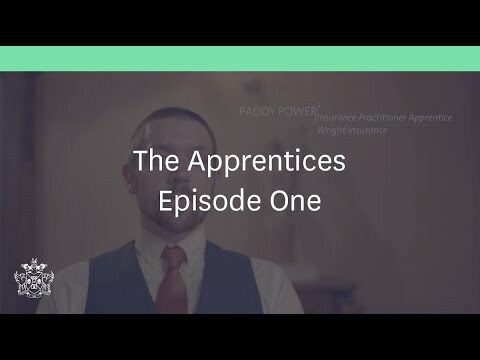 However in many ways this can be looked upon as a positive as it give us a chance to showcase our knowledge and capabilities and sell ourselves to the customer and thus building up relationships. Teamwork, I’ve always liked working as part of a team. I’ve found that working with others has always been far more beneficial. Listening to other people’s perspectives helps us see things in another light and thus helps broaden our approach and for me this improves our attitudes to work. Selfishness, people who work primarily in their own interests without any regard for the team. This usually manifests itself in some individuals un willingness to help others or impart knowledge and this usually works to the determent of the team. Generally speaking the people I’ve worked with would not fall into this category and I have a good experience of working with other people. I would consider myself a very good listener. I believe it is very important to allow others to express their views and voice their opinion. I feel that problem solving is also something ay which I have always been competent, this is something I actually enjoy as in many cases it provides an opportunity to think outside the box. I would consider myself a confident person, for many this is more of a trait than a skill but while being confident is a positive quality it is important not to come across as arrogant. Leadership is also a quality which I would associate myself with. This is something I have been looking to develop further at every opportunity i.e. any courses through work as well as professional qualifications such as the Professional certificate in People management. I have quite a broad educational background and I think this has provided me with the qualities to adapt to change and work in an environment where it is necessary to multitask and divide your attentions. I believe that my broad education background has also helped me cope with change and the challenges that change brings with on a day to day basis. It is difficult to pinpoint specific events, however I feel my career in general to date has been very rewarding. From getting into the financial services sector and then progressing and continuing to learn and gain new skills and attributes. This has been done through various professional qualifications as well as learning through the practical element of my work. Moving from a background in life companies and to working in a broker was a big challenge but the role is one in which I have excelled which is an accomplishment I am proud of. I’ve always been goal or task orientated. I’ve always tried to work towards the desired target to get the best possible result. My ability to work as part of a team is also something I would pride myself on. I would consider myself to be versatile, I think that it is important to be versatile in the workplace as changes occur constantly and it’s vital to be able to adapt to these changes in order to face the challenges they bring. I would regard myself as being a naturally enthusiastic person as I feel it is very important to approach all aspects of work with the best possible attitude in order to get the best results possible. It’s difficult to say what the title if my dream job would be but I would like to continue to work in an environment where the customer’s interests are the centre of attention. A management role would certainly be of interest to me as it would give me an excellent opportunity to exercise my leadership skills and qualities, I like to think I could do this to a very positive effect and have a good influence on those around me. Obviously a role like this brings with it added pressures but I would see that as a perfect challenge and one which I believe I could meet head on. Yes absolutely, I enjoy my work and this has a positive knock on effect on my personal life. I believe if you are happy in your professional environment that has a positive knock on effect on your personal life. My job is such that it does not impede on my personal life and I have time to do the things I enjoy. Selfishness, refusing to do what’s best for the team company or refusing to impart knowledge. Ongoing training is common and encouraged in my job, there is a large emphasis placed on things such as customer interaction and complaint handling. I have always taken part in this in the past and fully intend to do so in the future. Continuous Professional Development is also highly important and I try to do as much as possible each year, obviously meeting my required target but sometimes exceeding the target if there are other particular courses that take my interest. As regards education I have registered for the Professional Certificate in General Insurance for QFA’s exam due to take place in January 2016. Working with customers provides a very good background. From my own experience, when I was in university I worked part time and weekends in a supermarket where I had constant interaction with customers and I feel that this provided an excellent base for dealing with clients in my professional life. Also any work experience one can get through school or third level which gives them an opportunity to work in an office environment would be of huge benefit.